Recent advances in lasers and measuring devices, as well as new capabilities in automated data acquisition, have made possible the design and practical implementation of self-sufficient lidar systems. Alexey Fedorovich Bunkin is Russian physicist and researcher. Achievements include being the first to realize the nonlinear laser spectoscopy application for remote sencing of chemical contaminations in the ocean. He is a recipient of the Soviet Union State prize, 1984; International Science grantee, 1992-1995. 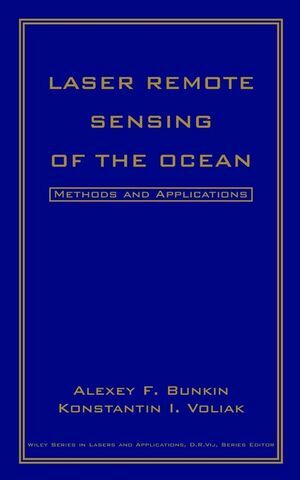 Konstantin I. Voliak is the author of Laser Remote Sensing of the Ocean: Methods and Applications, published by Wiley. General Principles and Applications of Lidars. Hydrographic Lidars: Design and Basic Applications. Laser Spectroscopy of Photosynthesizing Organisms in the Ocean. Nonlinear Raman Spectroscopy in Water Temperature Measurement.